$563,500. That’s the cost of a sales rep mis-hire, according to research by Dr. Brad Smart of Topgrading Inc., a firm that helps companies assess sales candidates. “Based on our studies, the average cost of a mis-hire can be six times base salary for a sales rep, 15 times base salary for a manager, and as much as 27 times base salary for an executive.” Not to mention the less quantifiable damage to team morale and culture. But how do you identify a great sales hire? Not all sales people come from the same aggressive ABC (Always Be Closing) mold. I have seen the brash, type A, Alec Baldwin-type characters loudly wining and dining clients. And I have seen one of the best sales people ever who would come across as introverted, mild and shy but would kill it at sales. An analysis of over 4,000 sales people found no link between extraversion and a salesperson’s performance. An analysis that looked at over 4,000 sales people found no link between extraversion and a salesperson’s performance. Both extroverts and introverts possess characteristics that contribute to their success in sales. In fact, Wharton School of Business found that ambiverts, individuals who fall roughly in the middle of the extraversion and introversion scale, are the most successful salespeople. To build a strong sales organization, it’s imperative to find great sales people. 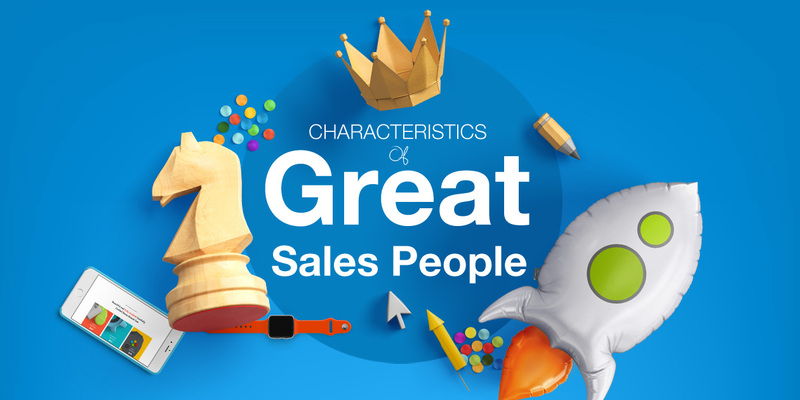 And while no one size fits all, there are common characteristics of great sales people which are listed below. With each characteristic I have also included a sample interview question to help you find the top salesperson for your organization. A great salesperson is willing (and has the ability) to listen, learn, and quickly adapt. Ongoing coaching is a powerful driver of sales success. Teams that use coaching see 161% more sales. Not just in sales of course, but any team. Mark Roberge, senior lecturer in the Harvard Business School and author of The Sales Acceleration Formula, ran an experiment while running sales at HubSpot. He tracked specific attributes of people interviewed and hired and measured over time which of these attributes actually correlated with success. After 1,000 interviews and hiring more than 60 people, he found that coachability was the #1 predictor of sales success at HubSpot. At the end of the interview ask “How do you think you did?” This shows how self-aware they are, which has proven to be a strong success factor in sales. Then give your feedback. This gives you a chance to see how the candidate takes feedback and how coachable he/she is. In their second or third stage interview do they demonstrate taking on your feedback and addressing any issues? Download all the interview questions in a handy printable worksheet. Includes the scoring matrix to rate candidates. 2. Great salespeople can break down complexity (teach). All the market and product knowledge in the world is useless if you cannot explain it simply for a prospect to understand. Great sales people take complex strategies and simplify them into key messages and action items, that a prospect can follow and feel in control of. This usually involves dropping all the jargon and acronyms from your marketing material. INC magazine writer Kevin Daum has a great list of 9 ways to simplify anything. “Explain something to me”. Perhaps the last product they sold or the market they sold to. 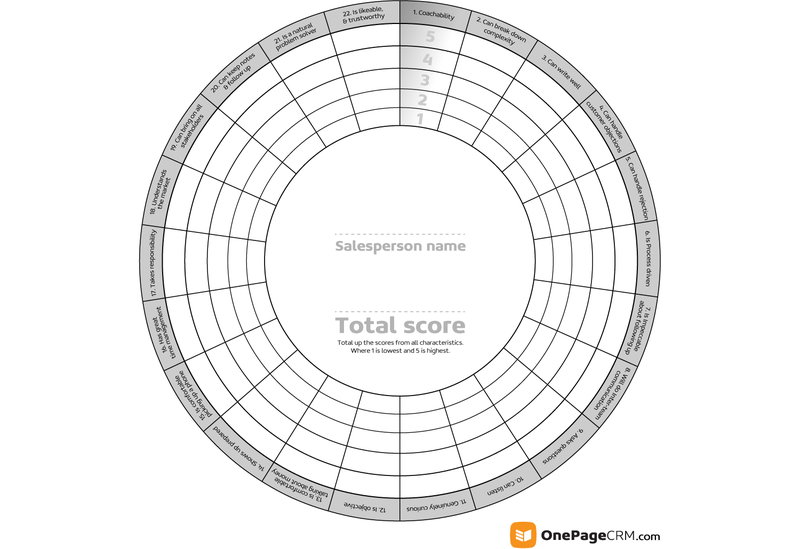 Use characteristics matrix when interviewing a sales person to score and compare candidates. It is likely writing is a big part of your salesperson’s daily activity. From writing cold emails and follow-ups, to writing proposals and contracts, having good writing skills indicates the professionalism of the person and the organisation. A salesperson is your ‘front of house’ representative. If they are writing like a 3rd grader it implies your solution is suitable for 3rd graders. According to research from Harvard Business Review, clear communication is often what separates the strongest sales reps from those who miss their quotas. On average, “high-performing salespeople communicate at an 11th to 13th grade level, while underperforming sales reps rank within the 8th or 9th grade level of verbal acuity”. Ask the salesperson to write an outreach email to a sample prospect. Or even before you meet them, you can use the candidate’s cover letter for the position. Check their writing ability by running the text through tools like Grammarly, or Hemingway Editor. Yesware suggests running it through the Flesch-kincaid readability test, which is designed to indicate how difficult a reading passage in English is to understand. 4. Know how to handle customer objections. In the Harvard Business Review, a study based on a survey of live sales people and their meetings found that of eight common types of sales people, only three were effective. Overcoming customer objections on-the-fly was the skill that all three of the “good” sales people excelled at, setting them apart as the most effective. The researchers called this ‘Rising to the challenge’. The skill that set apart the most effective sales people from the rest was their ability to handle customer objections. The best sales people were able to think on their feet and work through their customers’ objections. A great salesperson might also prevent objections from happening in the first place, by determining the needs of the customer by asking Situation, Problem, Implication, and Need-Payoff questions as outlined by author Neil Rackham in his bestselling book the SPIN Selling strategy. 5. Able to handle rejection. No matter how good a salesperson is, they are going to have misses. They’re going to hear a lot of NOs before they get a YES. All that rejection can be tough on a person, if they take it personally. It is not personal. Great sales people are able to separate themselves from that rejection and keep going. For them the glass is always half full and each no is bringing them closer to a yes. The Harvard Business Review noticed an interesting correlation. Over 85 percent of top sales people played an individual or team sport in high school. Come win or lose, it demonstrates a motivation to keep going back for more and keep fighting. The Bridge Group report on high performing sales teams, found that sales development reps make on average 46 calls a day but only have 5.8 quality conversations with prospects. Sales teams are managing a large number of leads with multiple touch points and multiple stakeholders across a long sales cycle. There is no way to manage that effectively without a process. What’s more, if you are not measuring that process you are unable to iterate and improve it. In a previous company I engaged the services of the sales consulting firm Skaled, based out of New York. Skaled looked at everything from who we were choosing to call, how quickly we qualified prospects, making sure the decision makers were on board, and the number of touchpoints to closing a deal. The revised and optimized sales process resulted in the initial qualification call and demo being reduced to half the time. This allowed the sales team to make more calls and not waste time on deals that were dead on arrival. The overall sales cycle was reduced by almost half as well, with objections being raised and addressed early in the process. One of the simplest and most effective processes for sales is to never leave a contact without a next action. In the same way that David Allen’s Get Things Done methodology increases productivity and improves time management; when the Next Action Methodology from OnePageCRM is applied to sales, it becomes a powerful tool which focuses you 100% on taking action. By encouraging upfront decision making and applying a Next Action to each of your leads and customers, you can ensure you never miss out on an opportunity to sell. 7. Impeccable about following up. This is a simple but much overlooked characteristic of great sales people and it is closely related to the process above. One of the biggest failings of mediocre sales people is simply not following up with leads. They give up too easily or just forget. 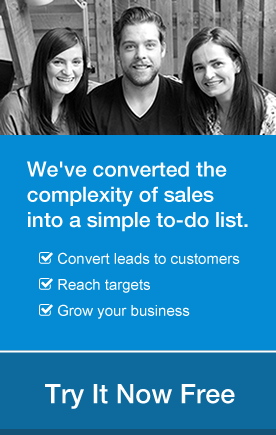 Yesware looked at over 500,000 sales emails sent. Almost everyone who is going to open your first email will open it within a day after you send it (91%). Any replies you are going to get from email 1 will be within a day of that open. So, if you do not get a response within two days of sending your mail, you are unlikely to get one. However, Yesware also found that you have a 21% chance of getting a reply to your second email if your first goes unanswered. Trish Bertuzzi, founder of The Bridge Group, researched 355 of the leading SaaS companies and found that they make, on average, six to eight attempts before throwing in the towel. High performing sales people make up to 12 attempts. Again, this is core to the Next Action Methodology from OnePageCRM which ensures you cannot move on from a lead without setting a next action, ensuring your sales team always follows up. How many times would you reach out to a prospect if they were not replying to your calls / emails? The conflict between sales and marketing is pretty much a business cliché at this point. Sales complains about the quality or quantity of leads, while Marketing complains about how Sales wastes valuable prospects by not following up. Then Customer Success has to deal with the fall out when Sales over promises on what the product can deliver. A great salesperson realizes everyone is in it for the long haul and working together will make everyone’s job easier. You’re all part of the same team. This, of course, can be helped along by good management. High-performance sales people provide feedback to all aspects of their organization (ie R&D, Marketing, Legal, etc.) to ensure products and services align better with the market and industry. “Higher performing sales representatives ask prospects more questions–often more than twice as many. Their questions are more focused on implications than on data. Put another way, they ask questions about what something means rather than just what it is” according to author Tom Searcy. The top sales people also tend to ask qualifying and closing questions to keep the deal predictably on track. Hearing ‘no’ from a prospect is most often the starting point rather than the end. Prospects will tell you NO all day. But if a salesperson asks questions and is a good listener, they will learn why, and figure out a solution. Asking questions gets the prospect engaged in the conversation. Getting people to talk about themselves is a great way to get them to open up and be receptive to any offer you have. The Rain Group has a list of 21 powerful, open-ended sales questions around rapport, aspirations and afflictions, impact and envisioning a new reality. This should become obvious during the interview. Does the salesperson ask you to explain your questions? Do they try to dig deeper to understand what type of information you are looking for or do they jump in and just keep talking? What are some of your favourite questions to ask prospects? 10. Great sales people listen. They tend to listen before they speak and listen more than they speak. As mentioned, they ask open-ended questions to get their prospects to speak more. It is not an easy, or natural process for some people, but they must be able to hold the silence. Not jump in and fill it with their voice, but let the prospect do it. Top salespeople can allow for measurable periods of silence in conversations with prospects. This creates an opportunity for the prospect to consider what has been said rather than having to process the next piece of data given by the sales rep. By learning when and how to use silence as a selling tool, the emotional weight of a sale can shift to the customer, who wants to fill the silence by talking. The top-performing sales people listen to what a prospect is saying, try to understand why they are saying it, then repeat it back to them. It is a technique called active listening. While not always possible, it is important that the salesperson is there when the prospect is presented with the proposal and price. A great salesperson listens out for the sudden silence, or exhalation and will address it immediately. “I sense an issue with the proposal, what are your concerns?” Otherwise a prospect might politely decline and may never reveal the true reason why. Give them silence. Do they jump in to fill the space or do they wait for you to talk? Notice what kind of questions they ask? Do they lead you to open up and speak your mind? This characteristic is heavily connected with asking questions and listening. To connect with a prospect a great salesperson needs to be genuinely curious about their customers, their customers’ customers and the market and industry they operate in. Ben Dean, of Penn University found that curious folk are often above-average listeners and conversationalists. The top sales people are curious about their own product, to the extent that they are willing to take time to fully understand their clients’ pain points, in order to offer a real solution. As an added bonus, a curious sales rep also tends to be a happier, more positive person, which creates a much nicer working environment for us all. A top salesperson is objective, not only about the client but about their own product. They can adopt multiple perspectives. They are willing to say no, if the fit isn’t right. A sale should become collaborative and the sales representative should think of themselves as part of the customer. They are not an outsider trying to sell a product, they are a partner who is working together with the customer to solve their problem and can objectively evaluate if the solution they are selling fits. This is especially true in high-value sales as these are built almost entirely around an on-going relationship between rep and customer over an extended period of time. “Describe for me how the decision makers in your prospect’s company make a decision to buy? Source: Greg Alexander Sales Benchmark Index for the 20 best interview questions. 13. Comfortable talking about money. Few people, even sales people are comfortable talking about money. Over 80% of sales people have some discomfort talking about money. – Sandler Training. According to Jody Williamson of Sandler Training, many of us were raised with the notion that money is a taboo subject. There is no room in the sales process to dance around the topic of money or worse yet, avoid it. The job revolves around money. Sales people are trying to find out if they can fix a problem and a prospect’s budget determines pretty fast if it is possible. Being comfortable about money allows great sales people to get to the point and simply find out if a prospect is a good fit. This seems like common sense and yet so many sales reps show up to sales calls and meetings totally unprepared. Up to 70% according to Tom Searcy in Inc Magazine. Up to 70% of sales reps show up to calls and meetings totally unprepared. These sales people show up not having done any research, tailored the presentation and material for the prospect or even set an agenda. This does not reflect well on them, your company or your solution. Showing up prepared is probably the easiest characteristic to assess. Ask them about your company (the company they are interviewing for), your business, your own role and who you report to. You will discover pretty quickly if they have done their homework. 15. Able to pick up a phone. 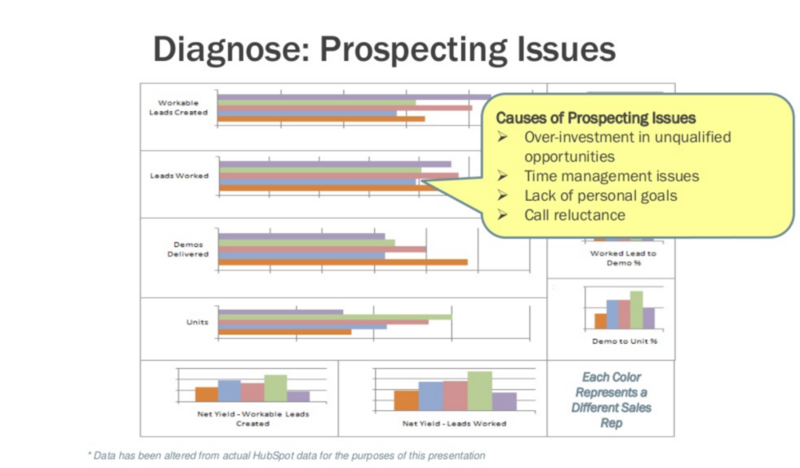 In Mark Roberge’s presentation: Secrets of HubSpot’s Sales Machine, Mark discusses one of the most common issues sales reps have, ‘Call Reluctance’. Exactly what it sounds like, it is a reluctance to make calls. This can be for a variety of different reasons and can hit the best of sales people at some point in their career. The net result is the same, less calls = less sales. Sales Call Reluctance can be objectively measured through a calibrated assessment tool called the Sales Preference Questionnaire . This is not about being able to schedule and follow a routine in their day, it is about being smart about what they spend time on. The very best sales people ensure the time they spend selling is on the right qualified leads and avoid wasting time on bad (or non-existent) deals. Plenty of salespeople cannot close deals because they were never qualified in the first place. Great sales people do not just manage their own time but that of their prospects as well. They understand the prospect’s timeline, the stakeholder’s timeline and the steps to progressing and hopefully closing a deal. This way they can identify when a deal is going south and pull it back on track. Or drop a deal if it dies. Being time focused means being focused on outcomes, not busy work. Deals sometimes do not work out, despite your best efforts. 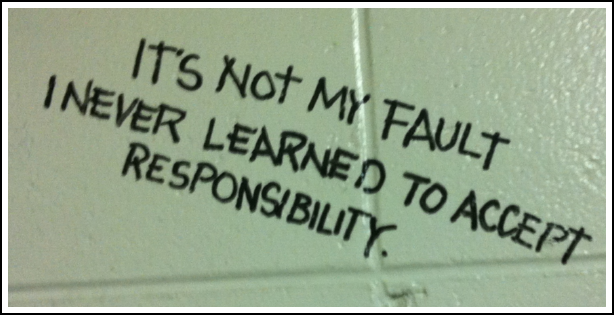 A great salesperson accepts this and takes responsibility for their own deals. However, they are also proactive in improving the process for next time. They believe they are responsible for their numbers and are generally willing to do whatever it takes to achieve their goals. 18. Deep understanding of the market. 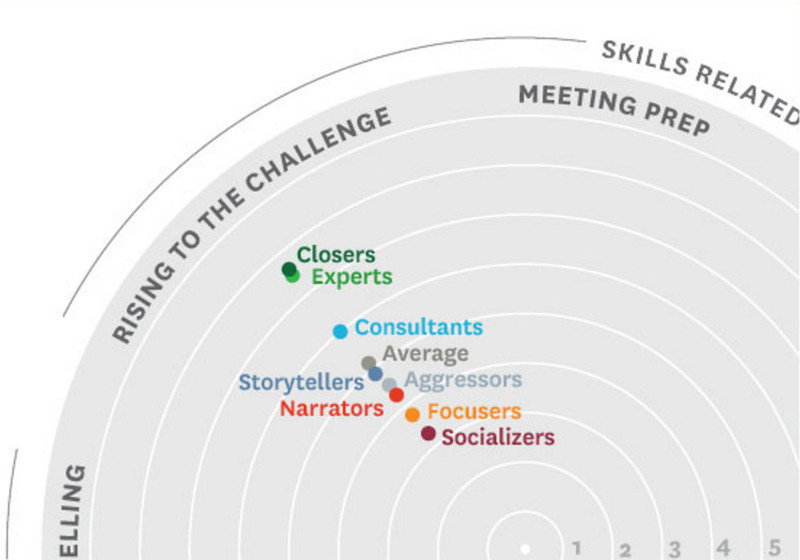 A high-performing salesperson understands where the client sits within the broader market and ecosystem. They understand what moves the needle for a client within that industry. It means having a view of the forest while walking around in the trees. It makes for a more consultative sell. BUT! You do not need to expect this from a new salesperson as this can be taught! (assuming they are coachable, see point 1 above). A great salesperson, with curiosity, will naturally learn the ins and outs of your industry, and they’ll do it quickly. Furthermore, candidates who don’t have experience in your industry can bring new perspectives to your sales organization. 19. Ensures all stakeholders are on board. It is rare that the person you are talking to is the sole and final decision maker. In fact, Apttus suggests that there are 5 key decision makers in the process and a sales rep needs to identify them all and ensure they are involved in the process. Even if it means delaying the sale. If a new stakeholder / decision maker is discovered, a diligent salesperson will go back a few steps in the process, find out their motivations and problems, and ensure the solution also addresses their motivations before proceeding. PersistIQ has a great general guideline on who the main decision maker might be based on the size of the company. 0-10 employees: The decision maker is usually the CEO unless the company has co-founders in the vertical you are selling into (e.g., CTO for Product, CMO for Marketing) or has already hired experienced VPs. 10-50 employees: VPs generally have buying power here. 50-500 employees: At this size, look for specialized roles, such as Sales Manager, Business Development Manager, etc. More than 500 employees: Find the regional specialized role, such as East Coast Rep, North America Rep, New York City Rep, etc. 20. They keep notes and follow up. Over half of high-performing salespeople are power users of their company’s CRM compared to less than a third of underperforming salespeople. Having a process and a framework for following up ensures leads and deals are never dropped. This is the core methodology behind OnePageCRM’s Next Action Sales and why users of the CRM report up to 50% more closed deals as a result. 21. A natural problem solver. Sales is problem solving. From finding out what a prospect’s goals and issues are and trying to find a solution for them (hopefully it’s what you are selling), to a more basic problem of how do I get in touch with the right person in the company. Having a problem solving mindset means sales will not be intimidated by restricted access to a prospect, big job titles and gatekeepers. They always look for ways around. People who are really good at solving problems go about it systematically. They have a way of placing the problem in context. The best salespeople don’t try to solve problems for customers. Instead, they solve problems with customers. – Ken Dooley – Customer Experience Insight. “Come up with ideas for selling this product or service. How will you generate leads for this position? How have you generated leads in the past? – Alice Heiman, founder and Chief Sales Officer of Alice Heiman, LLC. “What are three adjectives a former client would use to describe you? (Listen for synonyms of ‘helpful’)”. 22. Likeable and trustworthy, but not too agreeable. To build a customer’s loyalty you first have to earn their trust and respect. It is a natural reaction from new and existing customers and prospects to be constantly vigilant, watching for your company’s sales team to let them down. We teach our kids this early with ‘Stranger Danger’. Prospects are looking for a misalignment of information offered with the core message and values of the organisation. They are suspicious of offers and want to know if there is a catch. They will latch onto any inkling of doubt to justify their decision not to buy. The other side is when you succeed in earning their loyalty; they will fight tooth and nail to defend their decision to buy your solution, because they don’t want to appear in the wrong. They become your biggest, loyal supporters and your best sales force. A great salesperson will work to build rapport and trust and will come across as friendly and likeable. That being said, they must not come across as too agreeable. Researchers from the University of London College tested 66 sales consultants at health clubs and found the more agreeable the sales representatives were, the lower the sales. No question here. How does the salesperson make you feel? Do you like them? Trust them? Bonus: Where to find great sales people? Try these channels to find and hire great sales people. Prospect LinkedIn and other professional sites. The best sales people are not looking for a new job. You need to search them out on sites like LinkedIn, AngelList and Crunchbase and you need to approach them. Use a recruitment firm for good old fashioned head hunting. There are firms that specialize in finding top sales talent. You will pay a lot of money to them but you will also save yourself a lot of time and headache. Put the feelers out with your network to keep an ear open for good people looking for new opportunities. Also consider companies closing down. The quality of your network connections is often a good indicator of a person’s ability. Same as point 3 but it multiplies out your potential network and increases the chances of finding someone good. You might also consider incentivising these referrals. As an added benefit, referrals tend to stay with you longer. However, if you find that you need to scale your sales team faster and bigger you might consider the forced referral method from Mark Roberge. “If I could get the right people into the system – even if I did a mediocre job at training and management – they would find a way to win. But, if I got mediocre people in – even if I did a world-class job at training and leading – it wouldn’t matter.” – Mark Roberge, former CRO of HubSpot. Alan is an ex artist, ex film maker, ex designer, ex product manager and ex entrepreneur. VP of Marketing here at OnePageCRM. Author of 2, soon to be 3 marketing books. Almost made it to the big time as an extra on TVs A Tale At bedtime with Podge and Rodge playing snooker player #2 but they didn't show his good left side. Thanks Darryl, how would you describe this skill and why do you think it is important? Comprehensive article, not sure I could add anything to this list – well played!